The lawsuit centered around the entanglement of whales and leatherback sea turtles in crab-fishing gear, which spiked in 2015 and 2016. While fishers and the CDFW pointed to the 2015-2016 crab season as an anomaly triggered by an unusually warm blob of water off the California coast, CBD attorney Kristen Monsell said the group wasn't seeing enough action from the California Dungeness Crab Fishing Gear Working Group, which formed to tackle whale entanglements following that season. 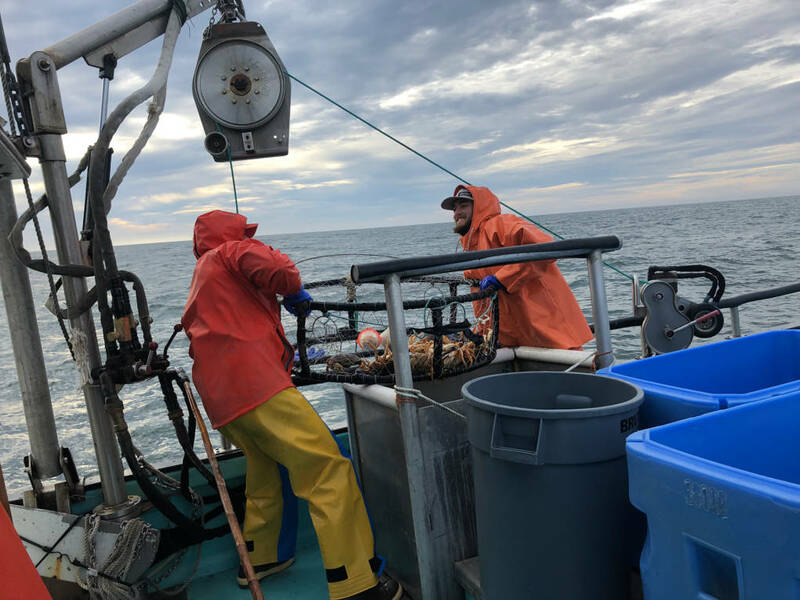 She said many of the conditions present that year have persisted: The crab fishery has had a delayed start three out of the last four years due to high domoic acid levels driven by warming waters. A preliminary count for 2018 showed 45 whale entanglements on the West Coast, compared with 31 confirmed entanglements in 2017. Between 2000 and 2014, the West Coast saw an average of 10 entanglements per year, according to the National Oceanic and Atmospheric Administration. What no one disagrees on is that climate change has altered ocean conditions in ways that are harmful to both whales and the livelihoods of fishers.